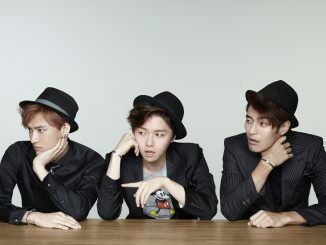 HomeB1A4[GIVEAWAY] Win tickets to catch B1A4's Live Performance in Singapore! BANAs! How many of you are excited to catch B1A4 in Singapore this weekend? Like you guys, we are super hyped to welcome B1A4’s return on our sunny island since their last visit two years ago, and we want to know just how many BANAs will be joining us at their live performance on November 22nd. For those who’ve yet to purchase a ticket to B1A4 Live Performance in Singapore, we’re telling you that you might regret not going as a little bird told us that the Singapore fans have planned a surprise birthday celebration for one of the November babies, and we reckon that this event is going to be a total blast! 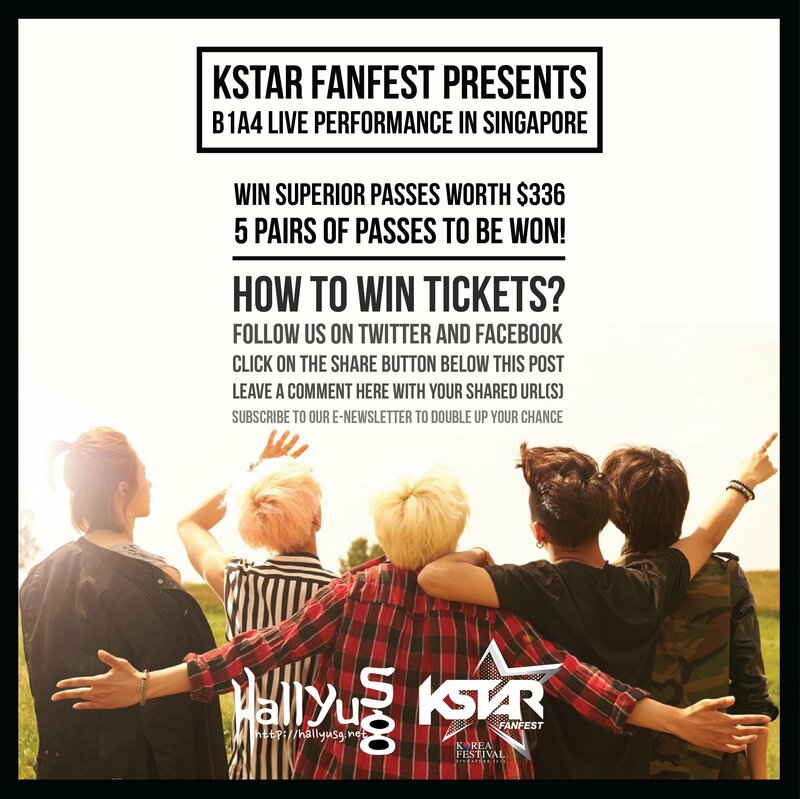 In addition to the ongoing giveaway of tickets to Girl’s Day Everyday Concert in Singapore, we have also secured a few pairs of Superior passes for you fans to attend B1A4 Live Performance in Singapore, with courtesy from KStar FanFest. Sounds awesome? Read on to find out more! 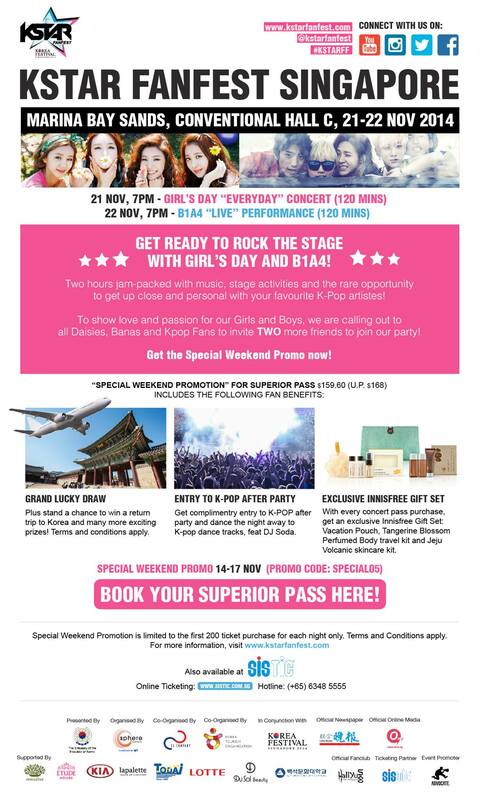 If you are a fan of B1A4 AND everything Korean, you should also check out the Korea Festival Singapore 2014 exhibition which will be taking place over two days on November 21st & 22nd at the Marina Bay Sands Convention Hall C. From tech showcases to K-Beauty, K-Fashion, K-Food, K-Mart, K-merchandise booths and more, you’ll be in for many exciting treats on these two days! Come in the day and soak in the fun of everything Korean before you go for the evening concert! General admission to the day exhibition is free. 4) Subscribe to our E-Newsletter (HERE) to double up your winning chance! Contest will end on 20th November 2014, 2000hrs. All winners will be announced across our social handles on 21st November at 1000hrs, so be sure to check for the updates regularly! RSVP your attendance HERE if you’ll be attending the event on 22nd November! 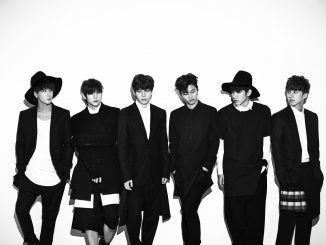 [INTERVIEW] VIXX promises a special show for Starlights at their UTOPIA concert in Singapore! 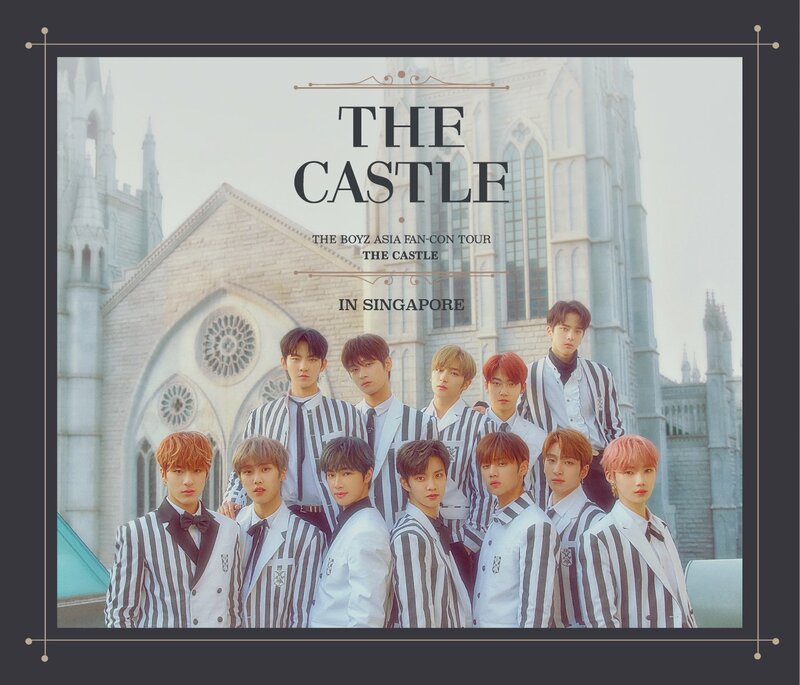 haii hallyu sg. 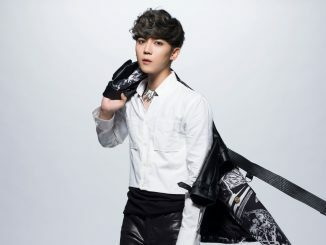 i love b1a4 style of music. it really distinguises with other music of others. i really hope to win this my parents dont allow cause i went to 4 concerts this year alr but mainly cause i waste too much money. ahhaa. please let me win this!